A vibrant new digital environment will greet tennis fans at this year’s Wimbledon, as the All England Club and IBM today announced the launch of the all new Championships’ website www.wimbledon.com has been completely re-designed to reflect the heritage and appeal of the event, as well as to offer the tournament’s anticipated 16 million unique website visitors a more creative and immersive experience through improved content, more powerful imagery and intuitive navigation process. Built on IBM’s SmartCloud infrastructure to meet surges in demand, the website integrates a new online broadcast channel, Live @ Wimbledon alongside the interactive analytics enabled IBM SlamTracker scoreboard, providing a one stop shop for fans wanting to interact with The Championship. At this year’s Championships IBM SlamTracker uses predictive analytics technology to enable fans to gain deeper insight into the match. 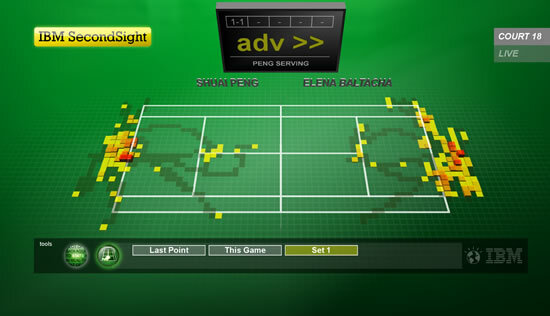 SlamTracker is a multifaceted feature of Wimbledon’s digital presence that leverages historical and real-time data to add depth and insight to the Championship experience.